Starting in Bangkok, our itinerary covers historical temples and modern shopping districts before giving you several days at one of Thailand’s many world class beach areas. From there, it goes to the incredible Angkor Archaeological Park and to the Cambodian capital of Phnom Penh. After Thailand and Cambodia, you’ll spend a week travelling south-to-north in Vietnam, where you’ll have a chance to see the country’s increasingly modern cities, colonial towns and World Heritage sites. Each destination includes a link to our Quick Guides, which provide dining, transport, hotel and sightseeing recommendations for every stop on your journey. Ready to start? 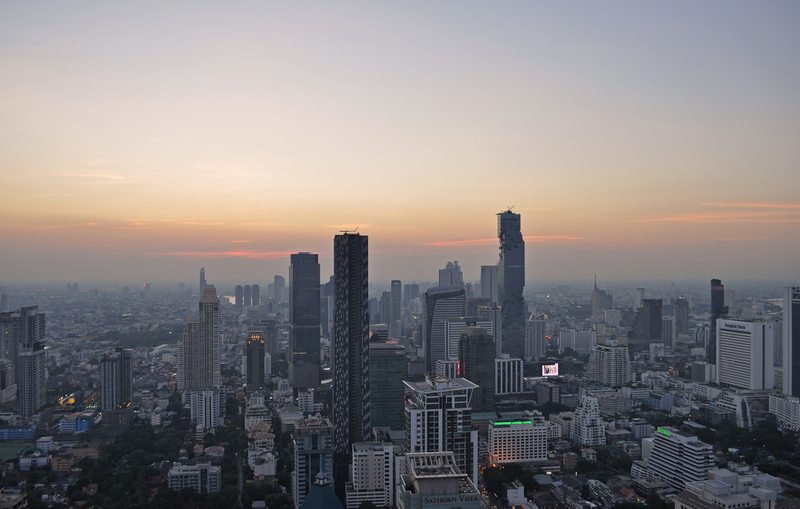 Bangkok is one of the biggest cities in Southeast Asia (and the world), as well as the world’s most popular tourist destination. It’s also a major travel hub for Southeast Asia, making it the best place to begin and end your trip. Our Bangkok itinerary is split into three days. The first gives you a chance to see some of the city’s famous temples and historical landmarks. On the second, you’ll visit modern shopping districts. Finally, the third day takes you to another side of Bangkok most tourists don’t see. 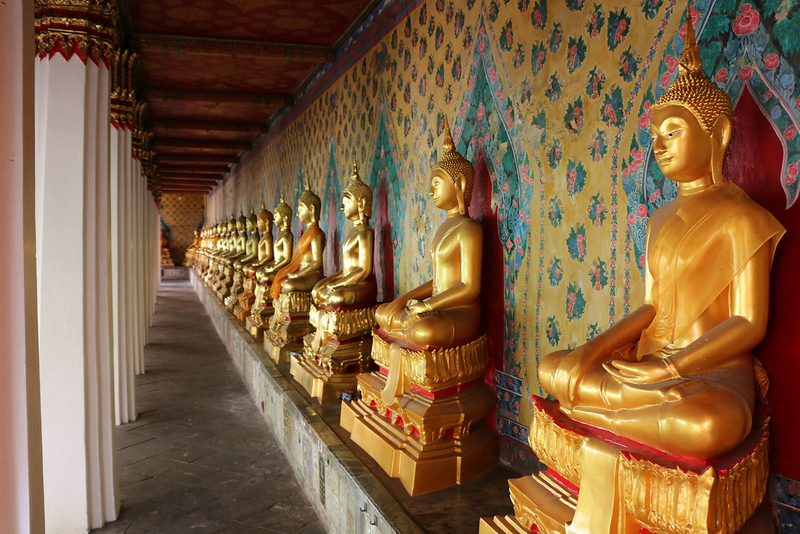 On your first day in Bangkok, you’ll see the Grand Palace, Wat Arun (Temple of Dawn) and Wat Pho — three of the city’s most famous historical sites. All are located within walking distance of each other, making it easy to see all three without getting stuck in Bangkok’s infamous traffic. The Grand Palace. Arguably Bangkok’s most famous historical attraction, the Grand Palace is a huge complex of historical buildings located on Rattanakosin Island in the centre of Old Bangkok. The palace grounds house several royal buildings constructed in the 19th century, as well as the incredible Temple of the Emerald Buddha. The Grand Palace is open from 8:30am every day, and it’s best to arrive early to avoid the crowds. Wat Pho. Located a short walk from the Grand Palace, this smaller temple complex is the home of a 160 foot gold reclining Buddha statue. It’s also where you can find one of Thailand’s most famous massage schools, making it a great place for a quick break. Wat Arun. Located across the Chao Phraya River from Wat Pho (and easy to access via cross-river ferry to Tha Tien Pier), Wat Arun is an iconic Buddhist temple that’s known as the Temple of Dawn. Thip Samai Pad Thai, which is a long-serving local Pad Thai restaurant that’s famous for its assembly line-like kitchen organisation and excellent fried noodle dishes. Sala Rattanakosin Eatery and Bar, a high-end international restaurant inside the Sala Rattanakosin Boutique Hotel that offers great views of the Chao Phraya River and Wat Arun. The Deck, a more affordable alternative to Sala Rattanakosin that’s located nearby and also offers great views of Wat Arun across the river. While day one in Bangkok is all about the city’s historical areas, day two gives you a chance to see modern Bangkok. Our itinerary includes a visit to some of Bangkok’s modern and expansive shopping malls, as well as a stop at the famous Jim Thompson House. Bangkok’s main shopping area can be found around Siam and Chit Lom BTS stations, both of which are flanked by massive shopping complexes offering everything from high-end fashion to cheap electronics, souvenirs and more. Siam Paragon is a large, international mall that’s usually the centre of activity in the area. Central World is an even bigger mall located close to Chit Lom station with a diverse selection of mid-range shops. If you’re looking for electronics, souvenirs or budget clothing, you’ll like the MBK Centre, which is famous for its maze of alley-like hallways and hundreds of tiny shops. For luxury shopping, the best options are Central Embassy, which is a newer mall near Phloen Chit BTS station, and Gaysorn Plaza, Bangkok’s first high-end fashion shopping mall. Jim Thompson House. One of the few historical and cultural attractions in Bangkok’s modern city centre, the Jim Thompson House is a large home built during the 1950s for American silk entrepreneur Jim Thompson. The house incorporates several buildings in a traditional Thai architectural style, as well as an incredible collection of antiques from around Thailand and across Asia. Tours of the home are available in several languages. Erawan Shrine. This small shrine across the intersection from Central World is one of the most popular places in Bangkok for locals and visitors to pray for good fortune. The shrine depicts Brahma, known as ‘Phra Phrom’ to Thai Buddhists. After a morning of shopping, you can see another side of Bangkok on a night bike tour by Grasshopper Adventures. The bike tour travels down some of Old Bangkok’s oldest alleyways and through picturesque markets, offering a different view of Bangkok. If you’d like to spend more time at the beach, you can leave Bangkok a day early to enjoy an extra night at any of the destinations listed below. Otherwise, your third day in Bangkok is an excellent opportunity to see a side of the city most visitors never get the chance to see. Khlong Tours of Thonburi. Exploring Thonburi, the quieter, less developed side of Bangkok, is a great way to see the everyday lives of local residents. The Small Teak Boat Canal Adventure hosts a relaxing, interesting trip through the historical canals of Bangkok’s Thonburi area, letting you escape from the hustle and bustle of the city and see a side of Bangkok most people never experience. Chinatown. Yaowarat, or Chinatown, is one of Bangkok’s busiest districts, with a wide range of markets, street food stands and businesses of all types. It’s also home to some of the best authentic Chinese and Thai food in the city, making it a great place for dinner. Some of the best dining options in Chinatown include Hua Seng Hong, which serves a great selection of dumplings and traditional Cantonese food, and the small but always crowded Fikeaw Yao Wa-Rat food stand. Thailand is home to some of the world’s best beaches, ranging from coastal resorts reasonably close to Bangkok to quiet, remote and completely unspoiled islands. Since every Thai beach resort offers a different experience, we’ve included our favourites below, along with Quick Guides for each destination. One of the easiest beaches to reach from Bangkok, Hua Hin is a small coastal city that’s about three hours from Bangkok by bus or taxi. Hua Hin is home to a good variety of resorts, several theme parks and numerous good restaurants, making it a great choice for families. While the beaches here aren’t as spectacular as on the islands, Hua Hin’s convenient location makes it a fun place to spend a few days. Our Quick Guide to Hua Hin covers all of the city’s must-see attractions, accommodation options, areas of interest and more. Known as Thailand’s Sin City, Pattaya is famous (or more accurately, infamous) for its seedy nightlife. It’s also a decent beach resort that’s easy to access by taxi, bus or minivan in under two hours from Bangkok. If you’re visiting Thailand for beaches, you’ll be underwhelmed by Pattaya. Likewise if you’re searching for an “authentic” destination that hasn’t been ruined by mass tourism. 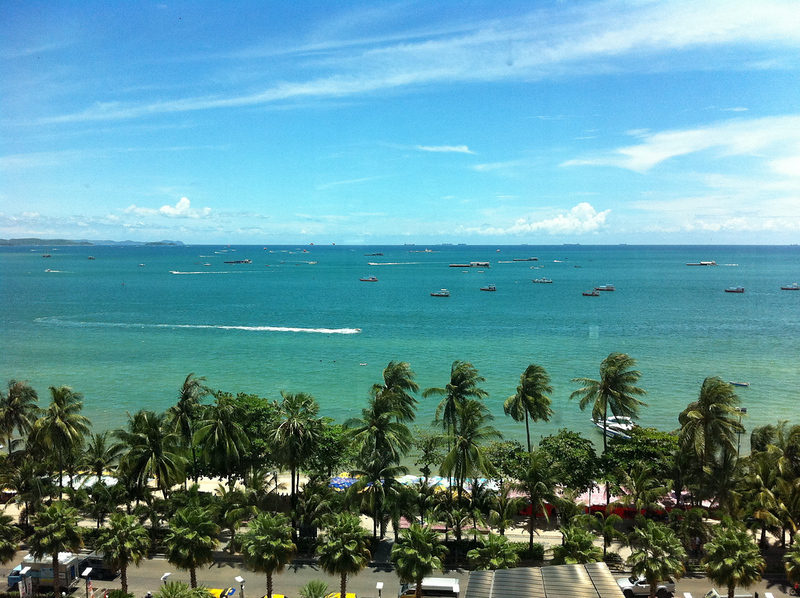 Otherwise, Pattaya can be a fun, affordable place to spend a few days by the beach. Our Quick Guide to Pattaya lists Pattaya’s main areas of interest, top restaurants and best things to do, as well as information on how to get there from Bangkok. The easiest major island to reach from Bangkok, Koh Samet offers impressive beaches and a relaxed, easygoing atmosphere. If you want to stay right on the beach and enjoy a chilled out few days without travelling far from Bangkok, Koh Samet is a good choice. Like most of the beach destinations near Bangkok, Koh Samet gets quite a lot of visitors on the weekend. It’s also a little bit more expensive than other islands, especially for accommodation. Our Quick Guide to Koh Samet covers the essentials of visiting the island, from access from Bangkok to hotels, restaurants, and things to do. 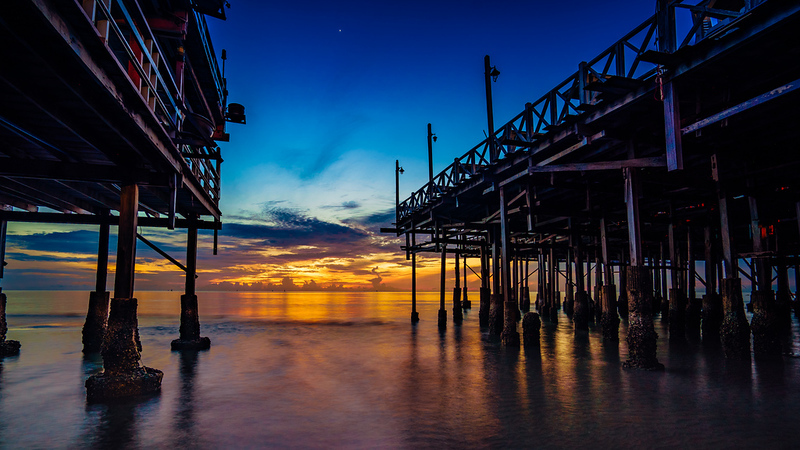 Located about five hours from Bangkok by bus, Koh Chang is one of Thailand’s most rewarding islands for visitors. 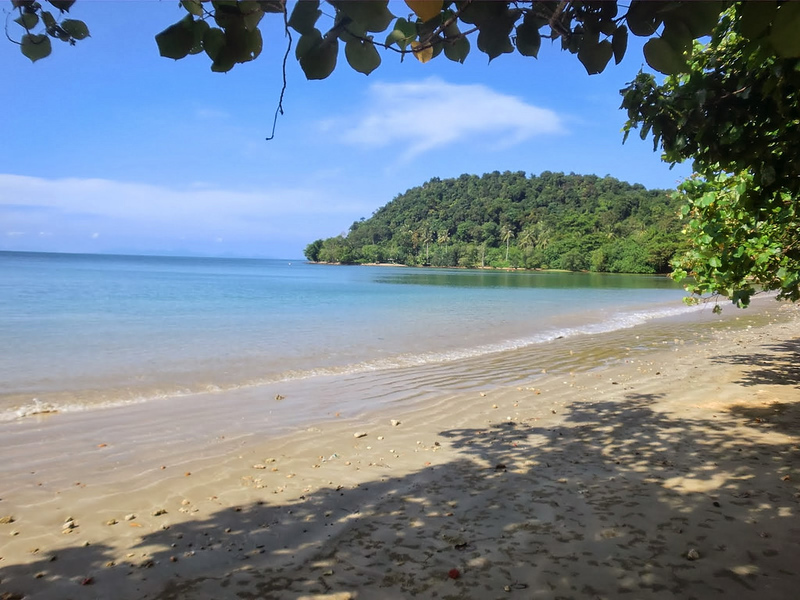 Large, lightly developed and home to some of the least crowded beaches in Thailand, Koh Chang is a great choice if you’re seeking peace and quiet. It can also be quite a fun island, with a good selection of activities for tourists. Just be aware that Koh Chang is heavily affected by seasonal weather and generally isn’t a good option during the rainy season. Our Quick Guide to Koh Chang includes all of the key information you need to plan your visit, from getting to the island to hotels, restaurants, activities and more. Phuket is Thailand’s most famous, heavily developed and popular island, with a great range of beaches offering every possible experience. If you want to visit a convenient beach resort and don’t care about being around other tourists, Phuket is what you’re looking for. The beaches on Phuket range from heavily overdeveloped to quiet and tranquil. Since Phuket is such a big island, the location you choose to stay in will have a massive impact on your overall experience. Phuket is one of two islands in Thailand with its own airport, meaning you can fly in directly from Bangkok without a bus, ferry or train journey to worry about. Our Quick Guide to Phuket covers the main areas of interest on Phuket, as well as the best things to do, places to eat and more. 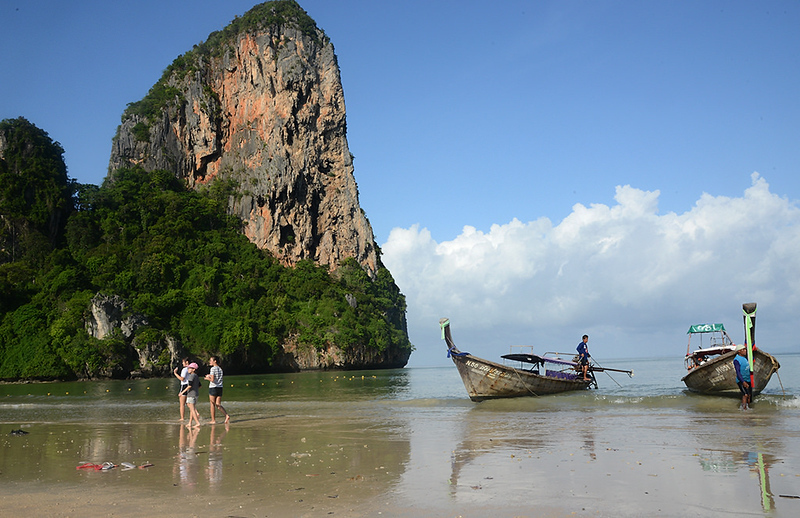 Another popular choice, Krabi Province is home to some of Thailand’s most impressive coastal scenery and beaches. The Krabi area can be divided into Krabi Town, Ao Nang and Railay, all of which offer a very different experience. If you’re looking for a more relaxing and peaceful environment in Phuket but also want to fly to your destination instead of worrying about buses and ferries, Krabi is a great choice. 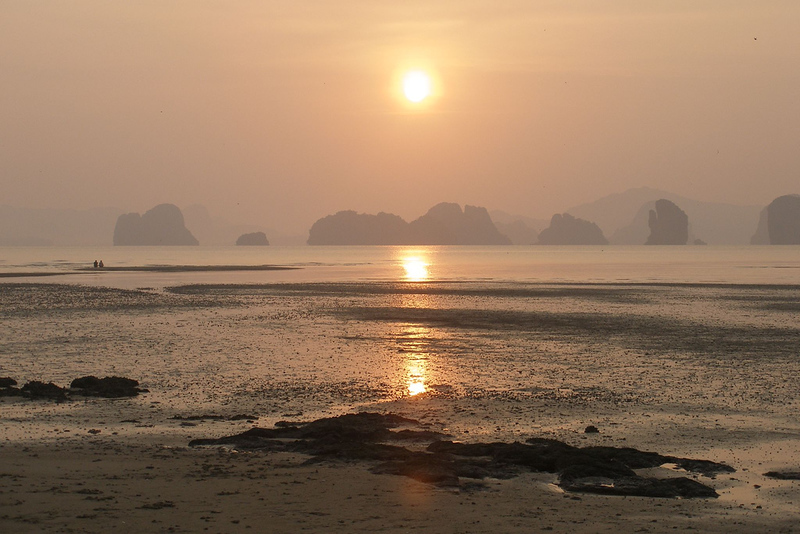 Our Quick Guides cover every key area of interest in Krabi. You can find more information about the provincial capital in our Quick Guide to Krabi Town, plus recommendations for its two main tourism areas in our Quick Guide to Ao Nang and Quick Guide to Railay Beach. Koh Samui is a popular island in the Gulf of Thailand, famous for its excellent beaches, good variety of dining options and ease of access. Like Phuket, Koh Samui has its own airport that allows you to fly in directly from Bangkok without spending half a day on buses and ferries. 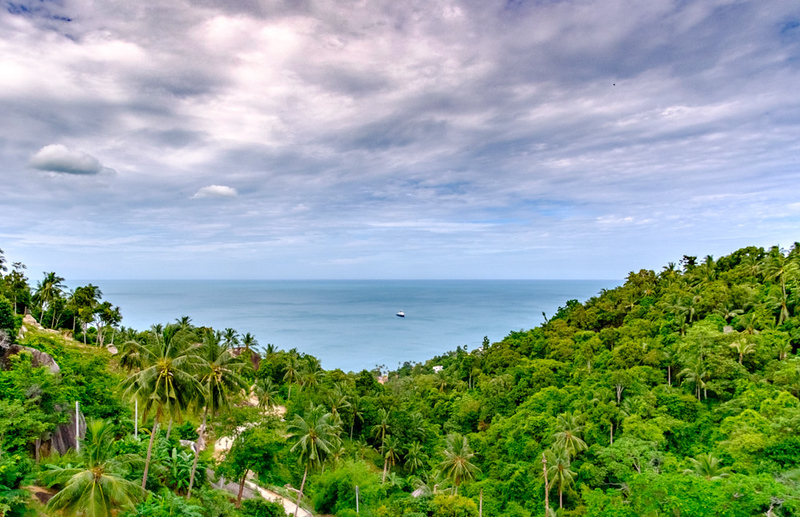 The beaches on Koh Samui range from somewhat heavily developed to almost entirely quiet and peaceful. Like Phuket, Samui is quite a large island, meaning the area you choose to stay will have a huge impact on your overall experience. Our Quick Guide to Koh Samui lists all of the main areas, sightseeing highlights, best places to eat and much more. Although Koh Phangan is best known for its infamous Full Moon Party, it’s also a diverse and interesting holiday destination. Koh Phangan has a great selection of beaches, ranging from party spots and backpacker hangouts to completely untouched and undiscovered areas. If you’re looking for a reasonably large island to explore over the course of three to four days, Koh Phangan fits the bill nicely. Unfortunately (or fortunately, depending on your perspective), there’s no airport, meaning you’ll need to get the ferry from Koh Samui or Surat Thani. Our Quick Guide to Koh Phangan lists all of the island’s key areas of interest, from party spots like Haad Rin to quiet and less developed beaches on the northern side of the island. 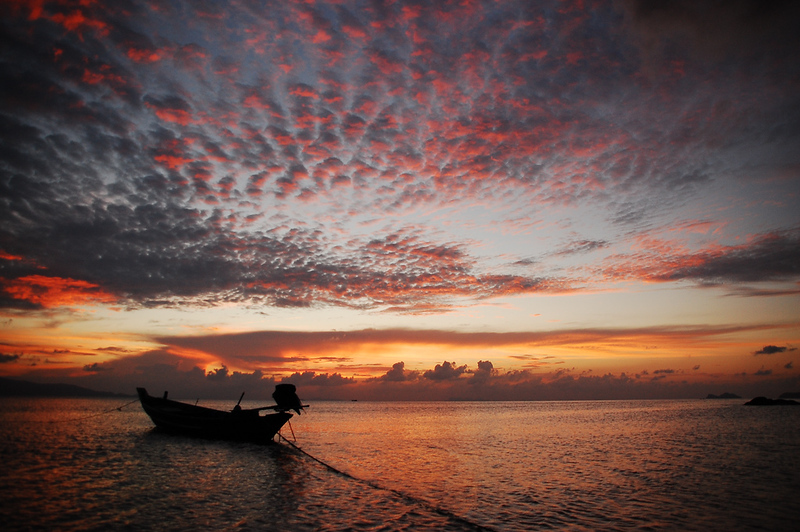 Koh Tao is a small island in the Gulf of Thailand famous for its cheap and high quality scuba diving courses. Arguably one of the cheapest places in the world to learn how to dive, this is where you’ll want to be if getting PADI certified is one of your priorities in Southeast Asia. 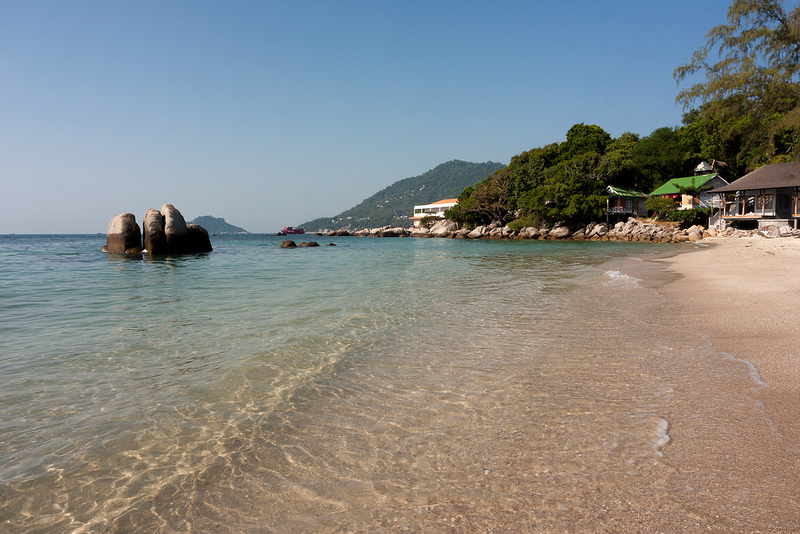 Beyond diving, Koh Tao is also a fun place to swim, sunbathe and snorkel. There are several beaches, although most of the activity on the island is centred around Sairee Beach and the small town of Mae Haad. 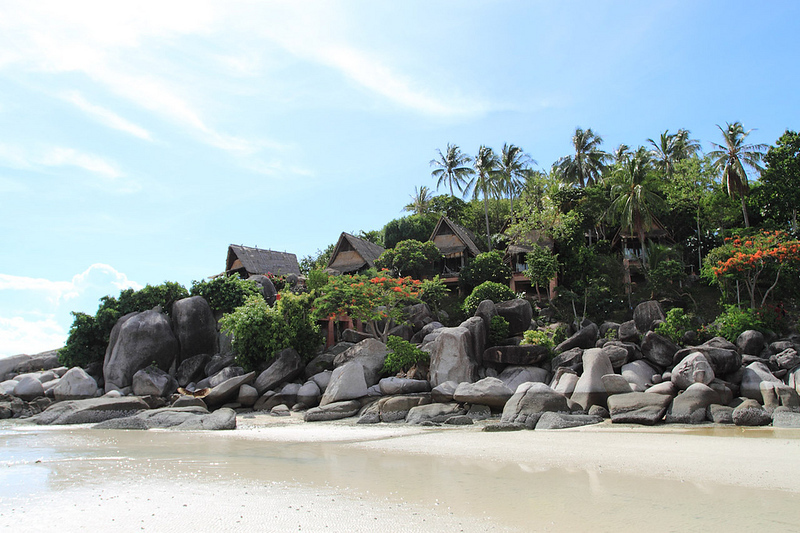 Our Quick Guide to Koh Tao includes a full summary of the best things to do and places to stay on Koh Tao, as well as dining and transportation recommendations. Quiet, peaceful and largely unspoiled by mass tourism, Koh Lanta is a mid-sized island that’s a short distance from Krabi. If you’re looking for an island that captures the feel of Thailand’s main beach resorts 20 years ago, you’ll love Koh Lanta’s quiet, peaceful and relaxing atmosphere. 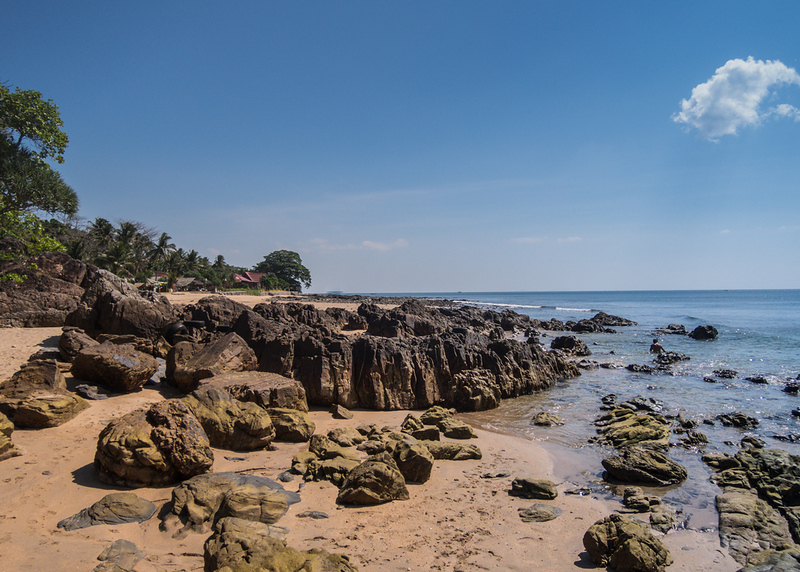 Beyond the relaxed vibe and lack of crowds, Koh Lanta is home to some of the best beaches in Southern Thailand. There are numerous resorts dotting the island’s shores, ranging from cheap bungalows to elegant luxury resorts that are ideal for couples. Our Quick Guide to Koh Lanta covers the island’s main areas of interest, hotels and resorts, dining options and more. One of the only island destinations in Phang Nga Province, Koh Yao is made up of two islands — Koh Yao Yai and the smaller, more developed Koh Yao Noi — that offer some of the best views of the Andaman Sea in Thailand. Overlooking the limestone karsts of Phang Nga Bay, Koh Yao Noi is one of Southern Thailand’s top romantic holiday destinations, with a variety of luxurious resorts. 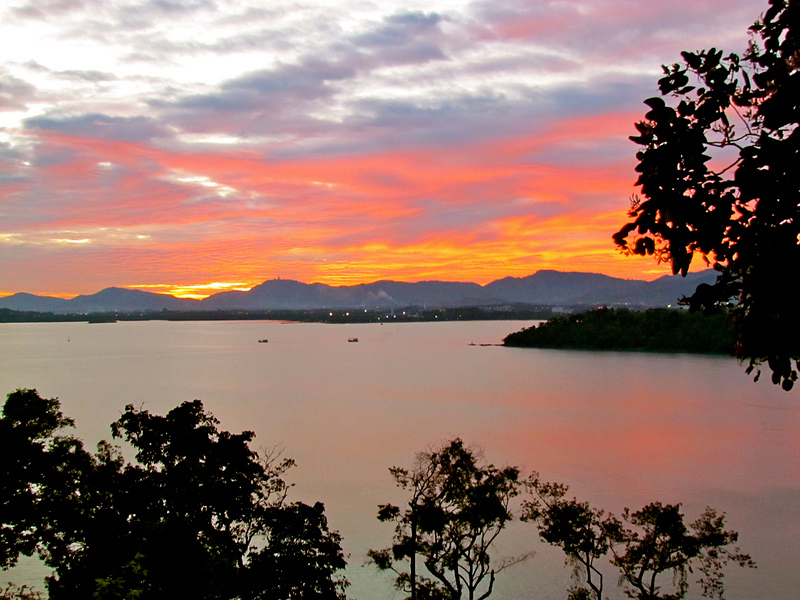 Koh Yao Yai is the larger of the two islands and offers a quiet, peaceful and natural experience. Our Quick Guide to Koh Yao includes the main areas of interest on both islands, as well as the best hotels, restaurants and transportation options to and from Koh Yao. Quiet, remote and completely unknown to most tourists, Koh Jum is a great island if you want to escape the crowds and mass development of places like Samui, Phuket and Pattaya. With just a few resorts and restaurants, no ATMs and several tour operators, Koh Jum is about as quiet and undeveloped as you can get in Thailand, making it the perfect place to relax by the beach with a good book or two. Our Quick Guide to Koh Jum covers all of Koh Jum’s main areas, accommodation options, restaurants and transportation options for getting to and from the island. After a week in Thailand, it’s time to travel to Cambodia. The Cambodia leg of our three week itinerary begins in Siem Reap — the country’s fifth largest city and the gateway to the incredible Angkor Archaeological Park. Siem Reap is a relatively small city with just a few attractions, meaning you’ll spend most of your visit exploring the temples in the archaeological park. As one of Cambodia’s main tourism cities, Siem Reap has a surprisingly good selection of international restaurants and pubs. The easiest way to get to Siem Reap is to fly in from Bangkok. Flights depart several times per day and arrive at Siem Reap International Airport, which is about 10 minutes from the city itself by taxi or tuk-tuk. Our Quick Guide to Siem Reap covers the main areas of interest and best accommodation in Siem Reap in more detail, making it a useful resource if you haven’t booked your trip yet. Cambodia Landmine Museum. Formerly ‘Siem Reap Landmine Museum’, this locally operated museum contains deactivated landmines and other explosives recovered from the Cambodian countryside, as well as several exhibits documenting the serious threat landmines pose to the people of Cambodia. Located about 25km north of Siem Reap, the museum is best accessed by tuk-tuk. Most of the drivers in Siem Reap know the place and can wait outside the museum while you visit. Spas. There are several great spas and massage businesses in Siem Reap offering everything from luxury treatments to cheap Khmer massage. Some of the best options include Sokkhak Spa, Khmer Relief Spa and Lemongrass Garden Beauty & Massage. Pub Street. Siem Reap’s nightlife capital, Pub Street is a short walking street right in the centre of town that’s home to numerous international bars and restaurants. One of Siem Reap’s best places to enjoy a good meal and a fun night out with other travellers. With more than 400 square kilometres of land covered by jungle and historical buildings, Angkor Archaeological Park is by far Cambodia’s most impressive attraction. Angkor Archaeological Park is gigantic in scale, with hundreds of structures ranging from finely restored temples to large-scale ruins. The entire park takes days, if not weeks to see, making it best to cover the highlights if you’re only visiting Siem Reap for two or three days. The main attractions of the park can be seen on a one-day visit. However, spending two or more days exploring the park will give you a deeper understanding of the significance of many of the buildings inside and let you see areas that most tourists never get the chance to visit. Angkor Wat. An icon of Cambodia, Angkor Wat is a 12th century Buddhist temple that’s the world’s largest religious monument. 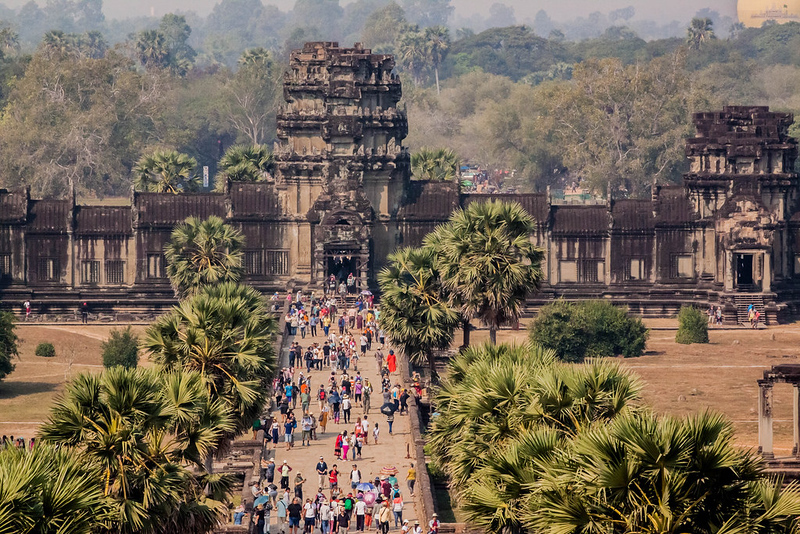 Angkor Wat is easily the most popular temple in the park, as well as one of the easiest to access. The best way to visit Angkor Wat is to arrive early in the day. If you take a tuk-tuk tour of the archaeological park, ask your driver to take you here first, as the crowds can get big later in the day and affect the quality of the experience. Angkor Thom and Bayon. Angkor Thom is an ancient city that previously served as the capital of the Khmer Empire. Its buildings range from large protective walls and gates to some of the archaeological park’s most impressive temples. One must-see temple within Angkor Thom is Prasat Bayon, which features large stone sculptured faces that look out over the temple. Like most of the park, the majority of the buildings in Angkor Thom are open to visitors, letting you explore with relative ease. Ta Prohm. Unlike most of the temples in Angkor Archaeological Park, Ta Prohm — a 12th or 13th century Bayon-style temple, has been left almost completely unrestored, allowing vines and tree roots to ‘take back the temple. Equal parts atmosphere ruins and beautiful ancient temple, Ta Prohm is a favourite of visitors to the archaeological park and a great temple to visit after stopping at Angkor Wat and exploring inside Angkor Thom. Want to more time at Angkor Archaeological Park? Our One Week in Cambodia itinerary has a full list of temples to visit on days two and three of your Angkor Archaeological Park visit, letting you extend your stay and see more historic temples. After visiting Siem Reap and seeing Angkor Wat, it’s time to travel to Phnom Penh, Cambodia’s capital and largest city. Equal parts relaxing former colonial capital and bustling economic hub, Phnom Penh is quickly developing into one of Southeast Asia’s top new cities. As a result, you’ll find a mix of old and new here, with incredible palaces and large, French-style boulevards alongside cranes, building sites and impressive new office towers. Our Quick Guide to Phnom Penh covers the city in more detail, with accommodation, dining and transport recommendations. From Siem Reap, the fastest way to get to Phnom Penh is to fly. If you don’t mind a six hour journey, you can also get to Phnom Penh by bus or minivan. The Royal Palace. 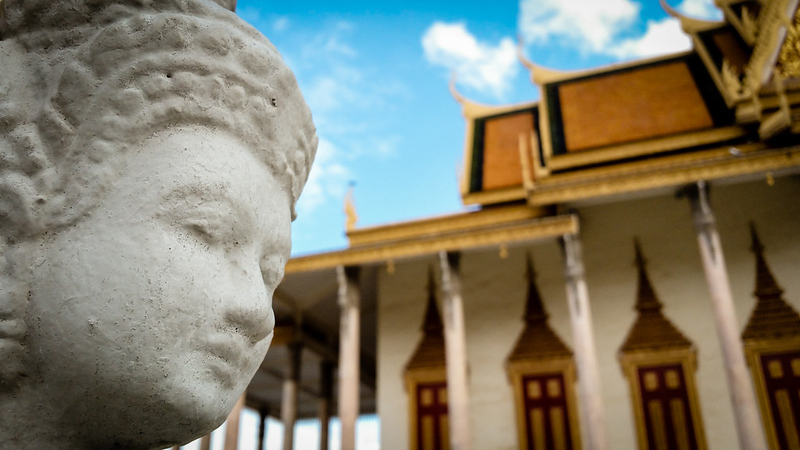 Phnom Penh’s Royal Palace is conveniently located right beside the main Riverfront tourist area, making it easy to access. Inside, you’ll find a variety of 19th century buildings built in a timeless Khmer style. The palace serves at the official residence of King Sihamoni, meaning large parts aren’t open to the public. However, it’s still worth a visit to see the impressive architectural style of Cambodia, particularly the incredible Silver Pagoda. Central Market. This 1930s Art Deco market is a great place to shop for souvenirs and cheap clothing. You’ll also find a good selection of stalls selling everyday items such as cooking pots and pans, homeware and fresh food. Be prepared to haggle here, as merchants are used to tourists and will usually price their goods at 20 to 50% above the market price. Tuol Sleng Genocide Museum. Used as a prison camp and execution centre during the Khmer Rouge period, this old high school has been converted into a museum that shows the horrific experiences many people went through during the Cambodian genocide. Located close to the centre of Phnom Penh, the museum is a sobering experience and a must-visit attraction for students of history. The Killing Fields at Choeung Ek. Located a short drive from Phnom Penh, the Killing Fields at Choeung Ek were used to dispose of people the Khmer Rouge regime deemed as problems of negative influences during their genocidal reign over Cambodia. The Killing Fields are located approximately 17km south of the city. Most tuk-tuk drivers know the location and will offer a round trip at a fixed price, making it easy to travel there and back. From Phnom Penh, there are two ways to travel to Ho Chi Minh City. The easiest is to fly, which takes less than an hour and avoids the slow, time-consuming process of cross over the border by land. The second is to take the bus from Phnom Penh, which takes around six hours. 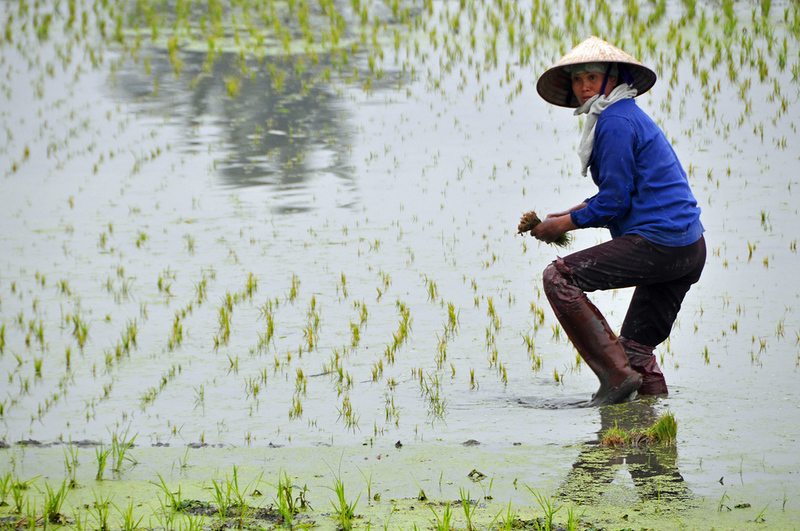 Our Vietnam itinerary starts in Ho Chi Minh City and goes north, with a quick stop in the scenic, historical town of Hoi an before going to Hanoi and Halong Bay. 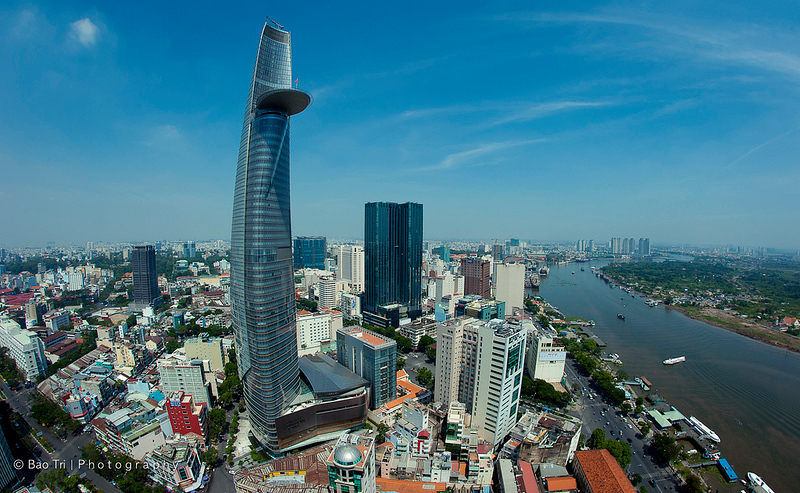 Ho Chi Minh City — or Saigon, as it’s widely known — is Vietnam’s largest city and commercial centre. From markets and war museums to underground tunnel complexes, there’s more than enough to do in Ho Chi Minh City to keep you occupied for several days. Our Quick Guide to Ho Chi Minh City covers all of the city’s main areas of interest, hotels and dining recommendations, transportation and more. Ben Thanh Market. This bustling central market is a great place to shop for souvenirs, cheap clothes and other small items. Prices here are 20-40% above the market rate but will come down quickly if you negotiate with the vendors. Reunification Palace. Built in the early 1960s and clearly never redecorated since then, the former Presidential Palace is a large building in the centre of Ho Chi Minh City that’s a great time capsule back to 1965. War Remnants Museum. Located a short distance from the Reunification Palace, the War Remnants Museum features several moving exhibits about the war, as well as a collection of Vietnam War planes, tanks, trucks and other equipment. Saigon Skydeck. This viewing area inside the ultra-modern Bitexco Financial Tower is located right in the modern centre of Ho Chi Minh City and offers incredible views of the city centre, outer suburbs and Saigon River. Cu Chi Tunnels. One of the main attractions in Ho Chi Minh City, the Cu Chi Tunnels are a huge complex of underground tunnels that were used during the Vietnam War as an operating base for the Viet Cong. Small portions of the tunnels are open to the public today, letting you see how the Viet Cong operated during the conflict. There are also several outdoor exhibits showing the traps and ambushes used in combat, as well as a war-era weapon shooting range. 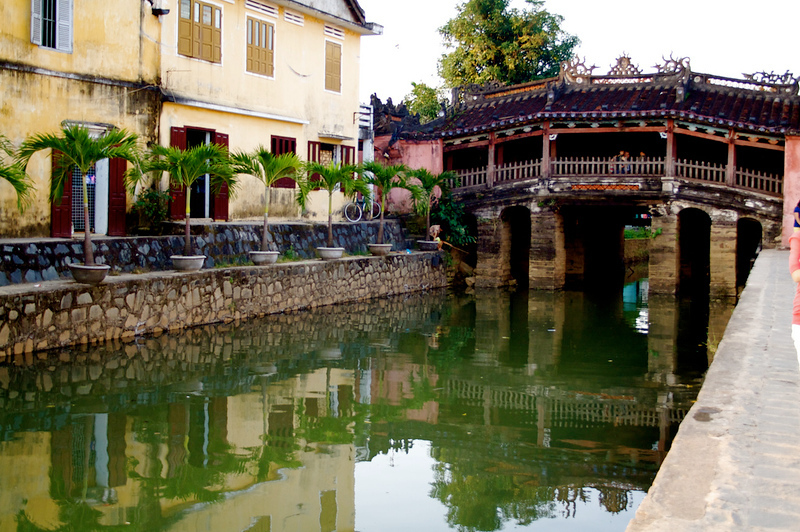 A UNESCO World Heritage Site since 1999, Hoi An is one of the Vietnam’s most beautiful small cities. Hoi An is famous for its incredible Old Town, which consists of hundreds of beautiful local shophouses, several temples and numerous cafés, galleries and small businesses. Hoi An is also Vietnam’s tailoring capital. If you’re in town for longer than two nights and need a new shirt, suit, dress or any other clothing, this is the place to order it. Finally, Hoi An has two great beaches, both of which offer peace and quiet, clean water and a nice escape from the crowds that can often built up in the Old Town area. Our Quick Guide to Hoi An lists top sightseeing spots in Hoi An, as well as specific hotels and restaurants for all price ranges. As a visitor, the best way to get into Hoi An is to fly to Da Nang and take a private car from the airport to your hotel in Hoi An. Hoi An Old Town. Hoi An is famous for its Old Town — a collection of more than 800 shophouses, pagodas and other structures. Many of the buildings were constructed during the French colonial era, giving Hoi An a very distinct, unique aesthetic. Two highlights of the Old Town include the Japanese Covered Bridge and Precious Heritage Museum, both of which are easy to access on foot. Beaches. Hoi An has two main beaches, both of which offer clean sand and water with relatively little development. An Bang Beach attracts the largest crowds and has the best range of vendors and amenities, while Cua Dai Beach is quieter and less busy. Tailored Clothing. Although you can find tailors throughout Vietnam, no other city has the same concentration of tailor shops as Hoi An. From suits and dresses to shoes, it’s possible to get almost anything custom made in Hoi An, usually at a good price. Popular tailors include Bebe ClothShop, Kimmy Custom Tailor and Yalo Couture, all of which have high review scores from travellers. There are also numerous small tailors around the city, although quality can vary dramatically from one shop to another. Finally, it’s time to visit Hanoi. Vietnam’s capital and second-largest city has a very different feel to its counterpart in the south, with scenic lakes and impressive temples, a historical Old Quarter and several monuments and museums to Ho Chi Minh. Most of Hanoi’s highlights can be seen in one day, giving you plenty of time to travel overnight to Halong Bay for a cruise. 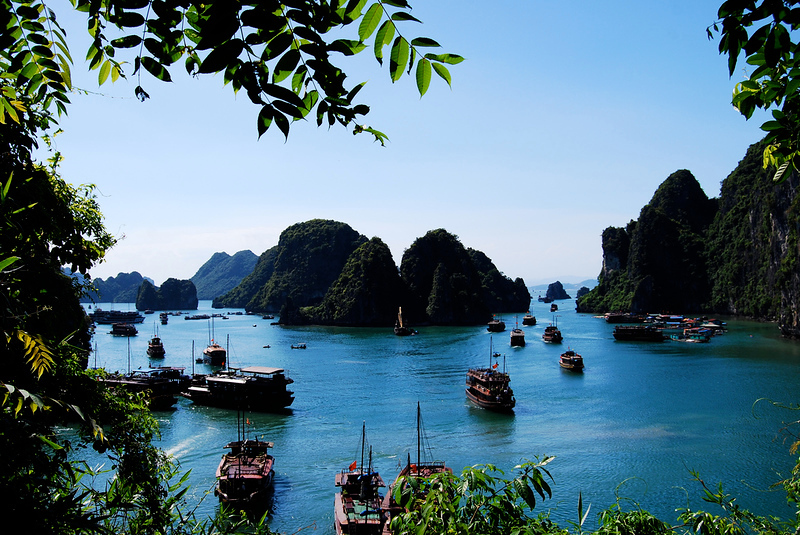 We’ve covered Hanoi first, then provided information on visiting Halong bay at the end of the itinerary. 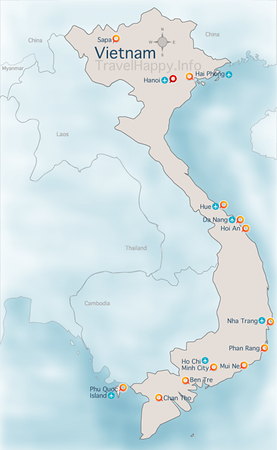 As always, our Quick Guide to Hanoi covers all of the city’s top areas of interest, things to do, places to eat and accommodation options. Ho Chi Minh Mausoleum. After his death in the late 1960s, Vietnam’s revolutionary leader was embalmed and put on display in this mausoleum. Visiting is a unique yet somewhat morbid experience, with numerous armed guards protecting the body. One Pillar Pagoda. 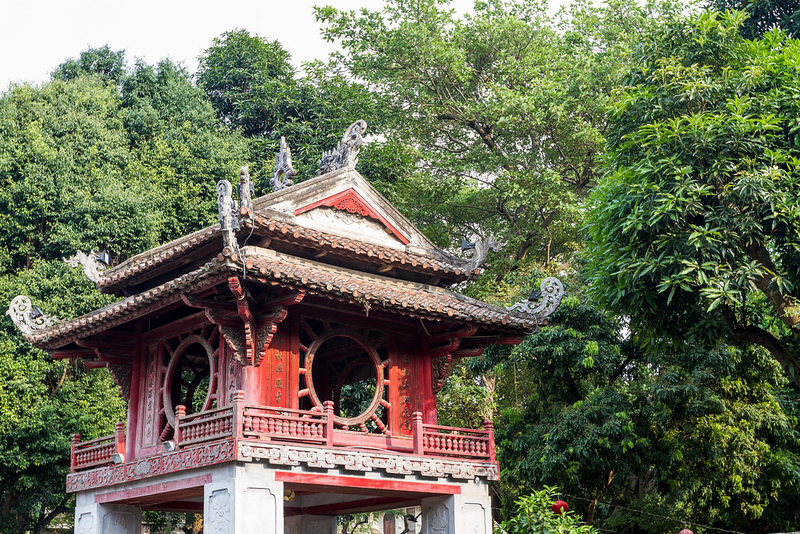 A short walk away from the Ho Chi Minh Mausoleum, the One Pillar Pagoda is an important historical temple built in 1049 at the order of Emperor Lý Thái Tông. Hoan Kiem Lake. One of Hanoi’s most popular sightseeing locations, Hoan Kiem Lake is a short walk away from the Old Quarter. The lake contains a small island that’s home to Temple of the Jade Mountain and connected to the mainland by a pedestrian bridge. Hanoi Old Quarter. Home to many of Hanoi’s best mid-range and budget hotels, the Old Quarter is a bustling district made up of French colonial buildings, small restaurants and cafés. A fun place to stay in Hanoi, provided you don’t mind crowds and lots of activity. Temple of Literature. This impressive temple complex was constructed during the 11th century and contains Vietnam’s first university. Today, the temple is an icon of Vietnam, with its design featured on the 100,000 dong banknote. One of Vietnam’s most impressive natural attractions, Halong Bay is a UNESCO World Heritage Site famous for its incredible limestone karsts and islands. Halong Bay is about three hours from Hanoi by road and isn’t particularly easy to visit independently. Instead, the best way to get to Halong Bay is to book a tour, which usually includes a day trip or overnight boat cruise with transportation from and back to Hanoi. While an overnight trip offers a more detailed look at Halong Bay and a better experience, it also requires a full two days of your time. It’s still possible to see the highlights of Halong Bay as part of a day trip, meaning the best option ultimately depends on your schedule. Our Quick Guide to Halong Bay covers the entire area in more detail, with information on the best tour operators and one-day, two-day and three-day cruises.